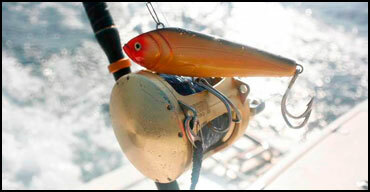 Our company is dedicated to making fishing lures, leaders at trolling lures. We are an innovative company that maintains constant study and development on top, quality and high resistant products. Our range for height and trolling the trolling line, is already known, we will launch soon our new range of colors that will guarantee good results on your fishing trips. We demand our highest commitment, so you have the best product in your hands which guarantee the best results. Suggestions or comments are welcome at our email. With an extensive experience as fishermen, we study and develop the most productive lures to ensure the best results,we also have a wide range of models, colors and sizes to meet your own needs.